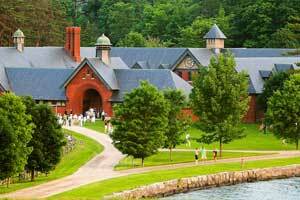 Vermont Cheesemakers' Festival a Success! With over 40 cheesemakers (the highest number per capita), Vermont is the premium artisan cheese state. Over 1,000 people attended this year’s event on August 23rd at the Coach Barn at Shelburne Farms to experience our passion for making fine cheeses, taste local, fresh foods, and meet the artisans responsible for it all. "I was very, very impressed with the Cheesemakers' Festival from start to finish. The website was well done: clear and with great detail. The media coverage and the list of VIPs skipped right past 'well, this is just the first year' and went straight to being a major regional event." "The attendees were absolutely great: 2/3 wanted to talk about the cheese and ask questions. Walking the event, I found a great cheese I'd never had before, found my new favorite beer, and two knock-out wines, so I'm sure every attendee came away with increased passion for VT products." Make sure to visit our website www.vtcheesefest.com for information on next year's Vermont Cheesemakers’ Festival. This event was organized by Vermont Butter and Cheese Company, Vermont Cheese Council and Vermont Institute for Artisan Cheese. Laini Fondiller of Lazy Lady Farm in Westfield, VT is building a second cheese cave. One cave will hold her washed rind and bloomy rind cheeses and the other cave will host her natural rind and new blue cheese. Lady in Blue, Laini’s new blue cheese will be available in one pound wheels at the end of September. Franklin Foods launched a new brand called Green Mountain Farms to celebrate their 110 year anniversary. In addition, they received two awards at the 2009 World Dairy Expo Championships. Support the VT Foodbank In response to the 35-40% growth in Vermonters seeking food assistance, and the economic plight of dairy farmers, the Vermont Foodbank is teaming up with Ben & Jerry's, Cabot Creamery, VT Grocers' Association and VT Agency of Agriculture to collect Vermont dairy product donations from shoppers at local supermarkets in June, July, August and September. Cards explaining the campaign are handed out to shoppers during the events. On September 12th the Vermont Grocer’s Association hosted a beer and cheese pairing featuring four Vermont cheeses at the Champlain Valley Exposition as part of their annual forum. See our handout for suggested pairings. On September 20th, the Flynn Center hosted their annual Fine Wine and Food Festival fundraiser at the Shelburne Farms Coach Barn. Cheesemakers involved included Cabot Creamery, Crowley Cheese, Fat Toad Farm, Franklin Foods, Grafton Village Cheese, Orb Weaver Farm, Shelburne Farms, Taylor Farm, and Vermont Butter and Cheese Company. This September, the Vermont Institute for Artisan Cheese (VIAC), at the University of Vermont, presented the 10th program of its international fellowship courses designed to provide multidimensional background on traditional cheesemaking in Europe. The intensive three day short course focused on artisan practices used in Italy and the Greek Islands. This course covered the origins of Italian and Greek cheese, their history, variety and cultural dimensions, as well as the technical aspects of three different cheese families. Look for more information to come about international learning opportunities in March 2010 about Ireland wash rind cheeses and French blue in September 2010. Cheesemaking and Affinage: Techniques, microbes and facilities. Exploring the craft of cheese making and ripening. On day one we will make a tomme cheese. On day two we will follow the steps for ripening this cheese and many others. The focus will be on ripening cultures, bio-reactions, affinage techniques, quality control, and how to design and construct facilities for the many types of cheese. Beginners Class about cheese making and starting an artisan cheese business. 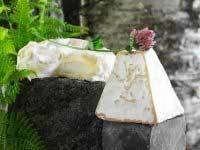 Topics include starting up a creamery; properties of sheep, cow and goat milk and their use in cheese making; making lactic curd cheeses (Chaource and Fromage Blanc) and Tomme; cheese brining; cheese ripening; and financial and marketing information. On a lightly floured surface with a floured rolling pin roll out pastry into a rectangle roughly 15 by 13 inches. Halve pastry lengthwise, forming two 15- by 7-inch rectangles. Brush edges with water and fold in edges to form a 1/2-inch wide border on each rectangle. With tines of a fork, press border to seal. Transfer rectangles to a large baking sheet. Sprinkle each tart evenly with Parmesan. Arrange tomato slices in one layer on cheese. Scatter onion slices and herbs over tomatoes and sprinkle with blue cheese. Season with fresh ground pepper to taste. Bake tarts in upper third of oven 14 to 16 minutes, or until crust is golden. Tarts may be made 2 days ahead and chilled, covered loosely. Reheat tarts before serving. Serve tarts warm or at room temperature. *Serve as hors d'œuvre’s, as a garnish to your favorite salad, or along side grilled steak or roasted chicken. Delicious as they are,-hard not to eat the tarts right out of the oven! Courtney Contos' love affair with all things culinary began at a young age and since then nothing has stopped her from exploring all the facets of the culinary world! She received a degree in hospitality and culinary arts. After school she worked for Charlie Trotter, tested recipes for Martha Stewart and studied New Mexican and Indian cuisines. Then, Contos opened her own business traveling through out the United States preparing lavish gourmet parties for upscale well-known clients. Contos, now executive chef for Cook Academy, at The Essex Resort & Spa in Vermont, since 2006, finds teaching people how to cook very fulfilling. Her excitement in the kitchen is contagious and this is one of the ways her passion sparkles. Contos has been teaching and spreading her enthusiasm to the public since 2000. Recipe writing and developing fun seasonal and International cooking classes is an art she has mastered. Become a friend of the Vermont Cheese Council on Facebook! As a Friend of the Vermont Cheese Council, we welcome your donations to assist us with our endeavors to improve the production and advancement of Vermont cheese. Your generous support helps us to continue to grow and expand our technical support for members, while providing you with delicious Vermont cheese. Learn more about the benefits of becoming a friend of the Council or sign up now! As an Associate Member of the Vermont Cheese Council, we welcome all industry related businesses and individuals who see the value in having a strong cheese industry in Vermont. Learn more about the benefits of an Associate Membership on our web site. This newsletter can also be viewed on our website.